3/4 cup Berries of choice Slice strawberries if using. Preheat oven to 275F. Separate the egg whites from the yolks. 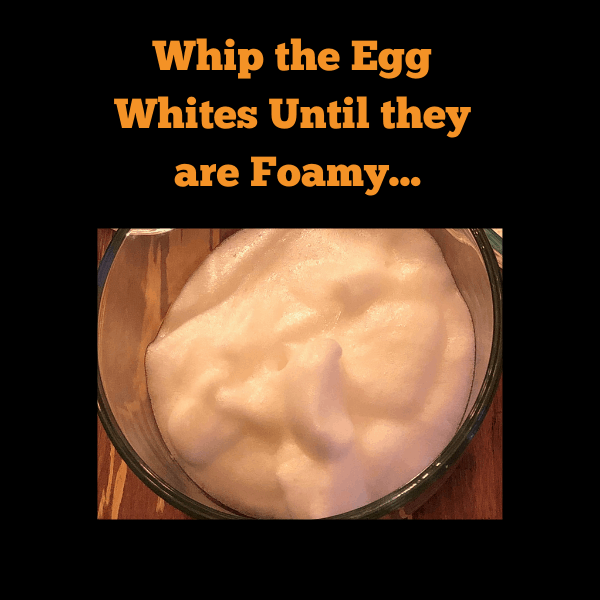 Whip the egg whites until they are foamy. 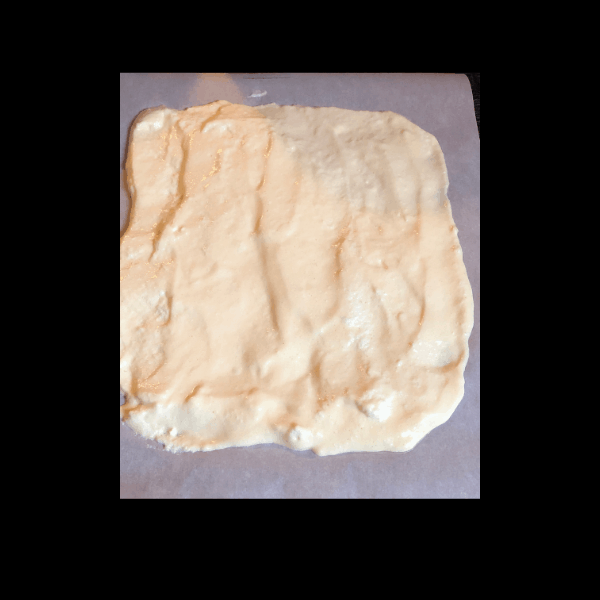 Fold egg whites slowly into the egg yolk mixture, then spread evenly on a baking sheet covered with slightly oiled parchment paper. Let cool while you are slicing or washing berries and making the whipped cream. Add the heavy whipping cream and sweetener if you are using any to your kitchen-aid on high and whip it. 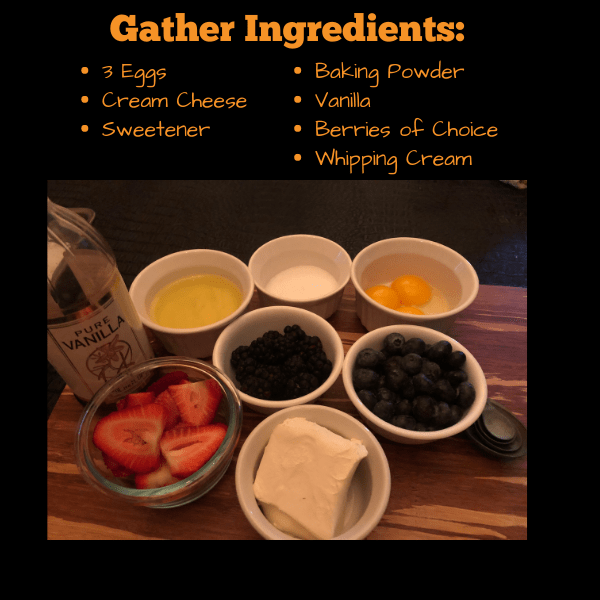 Whip it good…. until its fluffy. You can also use a hand mixer. Serve immediately…you can’t keep these hanging around in the fridge.